Probably, every family lived through an exciting moment of the completion of house reparation, when everything, even minor finishing works, are completed. But there is one obstacle between you and enjoying the pleasant atmosphere of the renewed housing. This obstacle is cleaning. How to clean an apartment or a house after the repair, so that this process will take as little time as possible, and at the same time will be efficient? 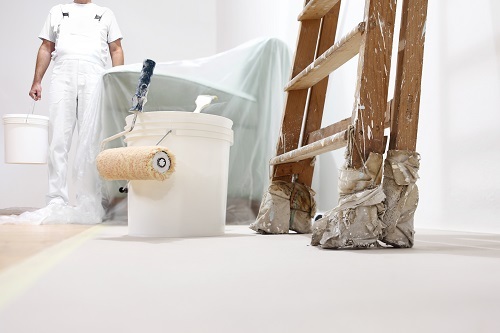 You can contact the cleaning service where you will be provided with post construction / repair cleaning services. But if you have decided to spend the final round in the battle for a clean apartment yourself, then use a pair of practical advice from the cleaning service specialists. Collection of waste and remnants of construction materials. It is necessary to collect all the debris and the remnants of construction materials. Move out from the apartment all the instruments and related tools. Cleaning and washing of all the hard surfaces. This stage includes cleaning the floors, closets and other surfaces. It is necessary to pick up cleaning agents, respectively to the types of surface coating. For example, for laminate it is necessary to use soft brushes and special cleaning agents. This is one of the most thorough and challenging stages of the apartment/house cleaning. If your apartment is on the fifth, tenth or twentieth floor, it is better to entrust this operation to a professional cleaning company. The doors, frames and window sills must be cleaned with non-aggressive detergents. Clean the dust with using soft cloths or special brushes that will thoroughly remove dust without damaging the surface. This stage should be treated with a special diligence, as dust rises into the air, which is breathed in the apartment/house. Wipe chandeliers, radiators and all the furniture. One of the separate stages of the apartment/house cleaning is to clean the furniture. Even the thickest and impenetrable covers cannot always protect the furniture from contamination. Construction dust or stains of unknown origin can appear on a couch, armchairs and upholstered chairs. Our cleaning company provides furniture cleaning services, but if you do decide to deal with the stains on your own, you should know at least some general rules. How to clean properly the furniture after repair? If you have noticed a stain, do not apply to it the first available agent. Please rate the origin and nature of the stain. If the stain is greasy or of acidic nature, then use some alkaline agents. If the stain has, on the contrary, an alkaline origin, use substances containing acidic elements (citric acid or vinegar). Before you use the agent for the whole piece of furniture, try it on an inconspicuous area or unnecessary surface.